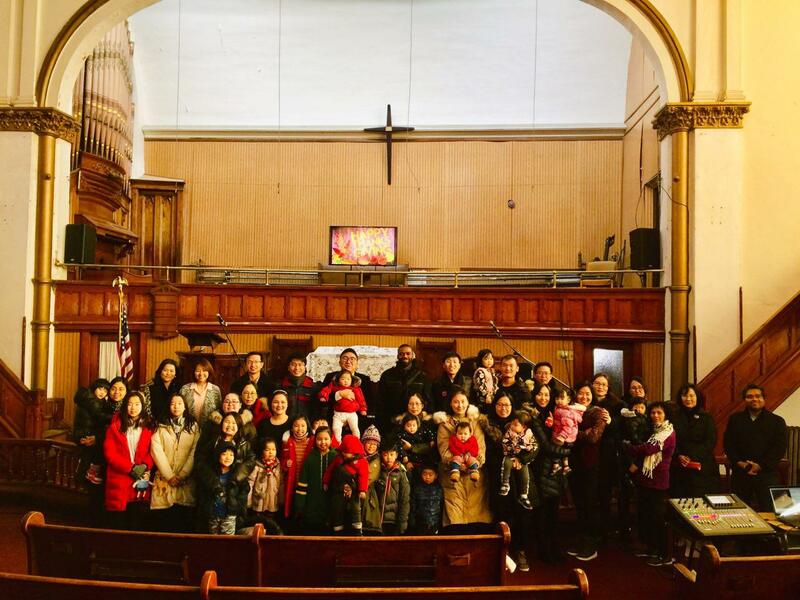 Immanuel Church offered a graceful thanksgiving service to God on November 22. The sermon was delivered from Luke 17:11-19 and The service was specially conducted as a family service where all adults and kids joined together. From the story of 10 lepers who were healed by Jesus, only one of them came to give thanks to Jesus. It indicates how hard it is to give thanks. Reflecting on this year, we may have more than 10 things that we should give thanks to God, but maybe we hardly give thanks to God for just one thing. God looks for those who could give thanks to God. If there is anything that we need to do before this year passes may be offering this heart of gratitude to God. It is to remember what God has done for us. In today’s passage, 10 of them received what they wished for, however, only one returned and give thanks. The repentance and thanksgiving go together. Repentance is something that we can’t do with ourselves. Maybe we can do the confession, admitting that we have sinned, but the life of sin can be repeated. But the true repentance is followed by God’s calling. Disciples of Jesus gathered in the attic of Mark and received the Holy Spirit. There was a previous life that they used to live, but obeying God’s calling, they have gathered. After the repentance, they don’t return to their previous way of life. God’s calling to us is to this place of remembering God’s grace, reminding us for the grace and his promise. Thanksgiving is what reveals our faith. The different between 9 and the other one was not about the situation whether they have things to give thanks or not, but it was about if they have realized what to thank God. Let us be the one who meditates on what we are thankful for and give the glory to God through the thanksgiving. After the service, members enjoyed the Thanksgiving meal and fellowship as well as Christmas tree decoration.